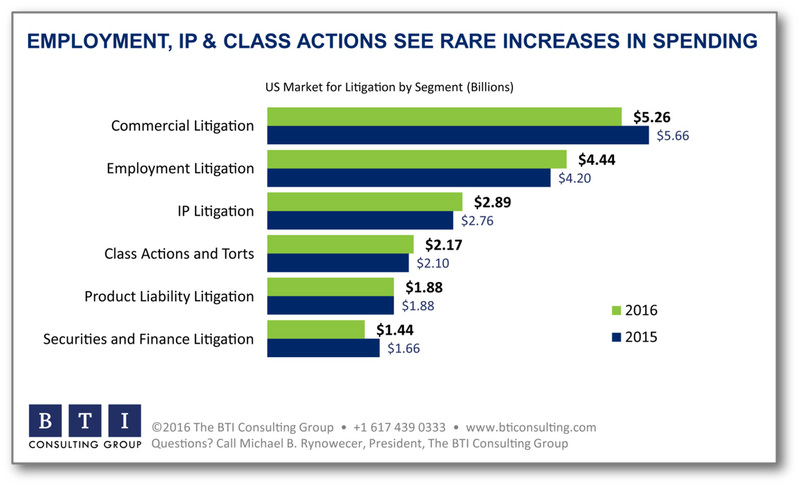 Although corporate litigation spending is flat, the number of companies managing “bet-the-company” litigation has quadrupled in the last two years, posing new challenges to corporate counsel, outside counsel and litigators. Bet-the-company litigation can be any legal action that threatens the existence of the company or major line of business, whether or not the case goes to trial. What’s driving the increase? A plethora of factors, including new laws, technologies, court decisions and complexity in all areas of business, including intellectual property, shareholders, class action, employment and financial services. 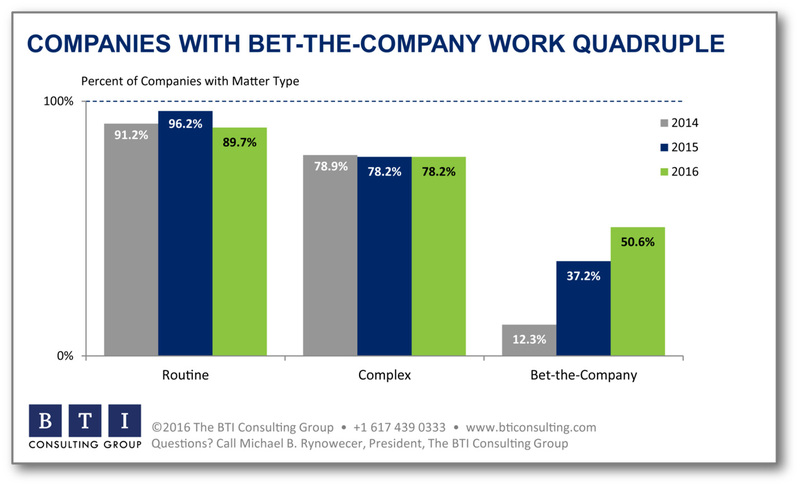 As bet-the-company work increases, corporations are keeping more routine work in-house and handling off low-risk, high volume tasks to alternative legal service providers, according to the Legal Executive Institute. An adverse judgment in a class action has the potential to bankrupt a business or eviscerate its market share. Likewise, the on-going defense of a class action can drain corporate resources long before the case reaches a decision point. Companies that do business in multiple states are also susceptible to “copy-cat” class actions, whereby plaintiffs’ lawyers create a domino effect of litigation filings that challenge corporate policies and practices in numerous jurisdictions at the same time. 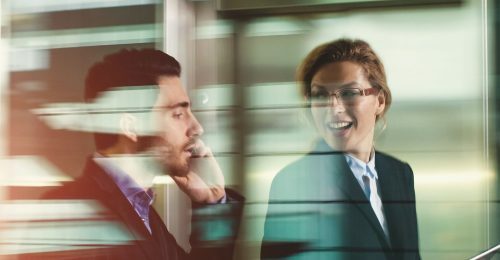 By definition, bet-the-company cases present enormous challenges – professional and existential – for corporate legal departments. With these challenges come considerable stress. In future posts, we’ll address best practices for surviving bet-the-company litigation and using depositions to your advantage.